This discussion will consider the impact and significance of South Asians in U.S. and Canada borderlands in the early twentieth century, a period of rising global white supremacy and the “global color line,” through the experience of Taraknath Das, an itinerant nationalist and political activist. By considering the itinerary of Das in the first two decades of the twentieth century – from study in the Norwich military academy to service in the U.S. Immigration and Naturalization Service in 1907-08, work with the Ghadar movement, arrest and conviction in the Hindu-German Conspiracy Trial of 1917-18, imprisonment in Leavenworth prison through 1919, and subsequent education and writings – this discussion will explore the nationalism of “expatriate patriots” as seen within the context of settler colonialism and the frontiers of expanding settler states. Finally, Dr. Bose will briefly comment on how a study of this topic advances discussions about the role of Asians in settler contexts, referencing recent debates in North America as well as the significance of Das, and his contemporaries, for a study of Indian nationalism. Light refreshments will be available. This event is on the record and open to the media. 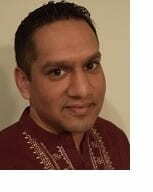 Neilesh Bose is Assistant Professor of History and Canada Research Chair of Global and Comparative History at the University of Victoria in Victoria, BC, CANADA. Dr. Bose is an historian of modern South Asia with interests in colonialism and decolonization, settler colonialisms, migration, nationalism, literary history, and intellectual history. Published work includes the book Recasting the Region: Language, Culture, and Islam in Colonial Bengal (Oxford, 2014) as well as journal articles and review essays in Modern Asian Studies, the Journal of Colonialism and Colonial History, and Modern Intellectual History, among others. Current work features a biography of Taraknath Das, the itinerant nationalist and activist (1884-1958) as well as a special edition of South Asian History and Culture about decolonization across East and West Bengal.